2004 ATRA Peg Connolly Scholarship Winners. 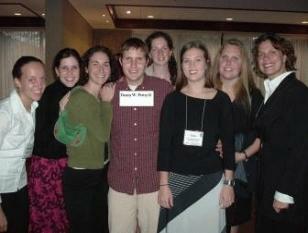 I found an old picture of the 2004 ATRA Peg Connolly Scholarship winners. I sure miss this group of fun people! This was the group of people who won the 2004 ATRA Peg Connolly Scholarship.